Well, it may have taken me over 3 months, but I've finally sat down to compose my first post of 2015. I haven't had the chance to use my camera all that much during this very cold winter in Boston, but for a few days over spring break in March I was able to return to Fort Myers, Florida. The trip was primarily to see family, but it was great to have a chance to get outside on two mornings to visit the Bunche Beach Preserve on San Carlos Bay. The density and diversity of birds I saw there was exceptional, far exceeding what I was able to photograph on my first trip there back in 2012. 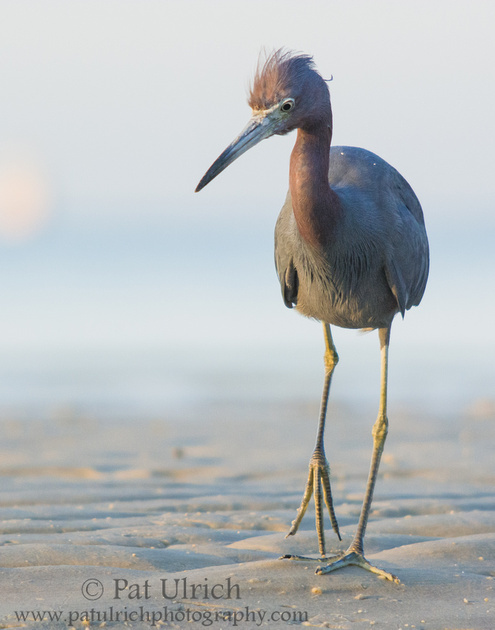 I have a ton of images of all kinds of waders in the tidal pools, including some great encounters with little blue herons like the one in the image above. There were a lot of birds there this morning 4/7/15, my first visit there ever... Skimmers, a couple spotted sandpipers, a pretty reddish egret and many others. The osprey I heard that perches nearby wasn't seen though. Glad you had a nice first visit there! I've been to Bunche Beach twice, once in Feb 2012 and then again last month. I was really hoping to photograph skimmers on my recent trip, but I only saw the flock fly by. There were tons of egrets (including a gregarious reddish), herons, and ibis though.